This "Historically Speaking" column appeared in the Exeter News-Letter on Tuesday, August 20, 2013. When, in 1829, the Exeter Manufacturing Company erected its textile mill on the eastern bank of the Squamscott River, it created the largest building in town. The industrial revolution in New England had proven that such mills could be wildly profitable, and to the local investors it was well worth the money spent. The bricks used in construction were locally purchased, but the machinery was largely imported from England. Power was provided by the Exeter Mill and Water Power Company, which had spent the better part of the previous year buying up all the smaller mills upstream on the Exeter River to ensure the new mill, would have enough power. With four huge water wheels, the mill was entirely run by water power until the 1870s. 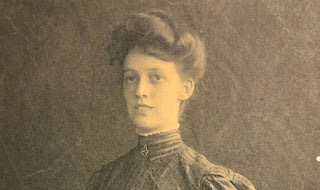 By the 1850s, new workers were available – the potato famine in Ireland brought Irish immigrants to New England and an influx of French Canadian families meant that finding people would not be a problem. Left out of the workforce were the many African Americans – descendants of Revolutionary War veterans – who lived in town. Mill owners would not hire Black workers, preferring instead to hire white immigrants, some of whom could barely speak English. The long work hours were reduced to eight hours during the depression when labor standards changed with the New Deal. The mill remained open throughout the 30s, and World War II brought with it round the clock production, increasing the workforce. The company employed between 200 and 300 people before the war, and the numbers swelled to over four hundred during the conflict. The Kent family ran the mill from 1895 until 1966, when it was sold to Deering-Milliken. Hervey Kent, Jr is still remembered in Exeter for his opposition to unions – there never was a union at the Exeter Manufacturing Company. During the 1930s and 40s, it seemed like Hervey Kent ran the entire town with a controlling interest in the Exeter Banking Company. His brother, Richard, ran the Exeter Handkerchief Company on Lincoln Street. The Milliken purchase in 1966 changed both the work and the conditions at the mill. Air-conditioning was installed, wages raised and cafeteria facilities installed. The mill no longer produced cotton fabrics – it instead churned out synthetics for industrial and automotive use. Improved automation reduced the number of people working there. The mill changed hands again in 1981 when Nike Shoe Company moved in to produce simulated suede for sneakers. This business move out two years later and the mill was repurposed into apartments, preserving the buildings that were so integral to the town economy for over 150 years. 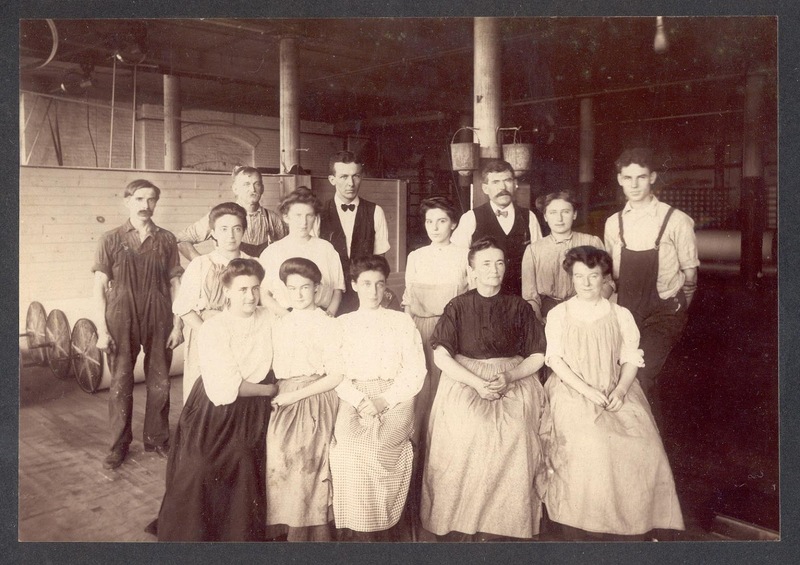 Photo: Exeter Manufacturing Company employees around 1900. The mill, primarily run by the Kent family, produced cotton textiles for over 150 years. 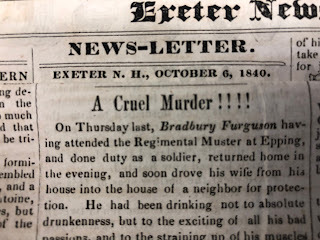 Note: In Barbara's original article, she noted that Hervey Kent had controlling interest in both the Exeter Banking Company and the Exeter News-Letter. Harry Thayer corrected us by saying, "Yes, he owned the bank but did not have anywhere near a 'controlling interest' in the News-Letter. My father had controlling interest, owning 51% of the stock. Hervey Kent owned 10%. Other stock owners were Walter Pennell, George Scammon, William Saltonstall and Dean Thorp, Sr."
I very appreciate it and find all of the info incredibly useful.